The very first thing that I ordered when I first visited New Orleans many years ago was a Shrimp Po’ Boy sandwich. Now, I know that there are plenty of food choices in Louisiana, and you might be surprised that I chose a sandwich as my first meal. Homemade shrimp po’ boy sandwich with a spicy remoulade sauce drizzled on top. However, I had just arrived in town and didn’t want to take the time to sit at a restaurant when I could be exploring the area. Plus, I knew that I would be there for several more days to try out famous Cajun and Creole recipes. So I stumbled into a grocery store that had a little restaurant attached to the back of the deli. It was the kind of place where you ordered what you wanted at the counter and they yell your number when your food is ready. I knew that the food had to be tasty. The line streaming across the main aisle of the grocery store was a good indication. 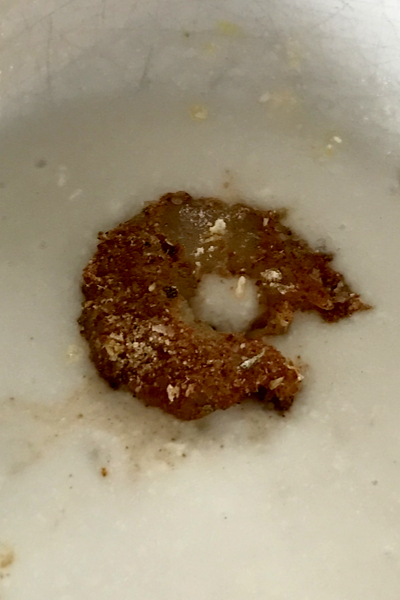 Shrimp coated in seasonings before being breaded. As the line quickly moved, I began to ask the locals what was the best thing to order. Every answer was the same – definitely the Shrimp Po’ Boy. I had to admit that I had never had a Po’ Boy sandwich, let alone a Shrimp Po’ Boy. But I was a huge fan of sandwiches and subs. And I was definitely a fan of breaded and fried shrimp. I watched as I was in line, and 9 out of 10 of the food trays being picked up had at least 1 Shrimp Po’ Boy sandwich. Buttermilk helps keep the spices in tact and serves as the glue to hold the breading to the shrimp. I was sold. So when I arrived at the counter to order my food, I was sure to order my own. 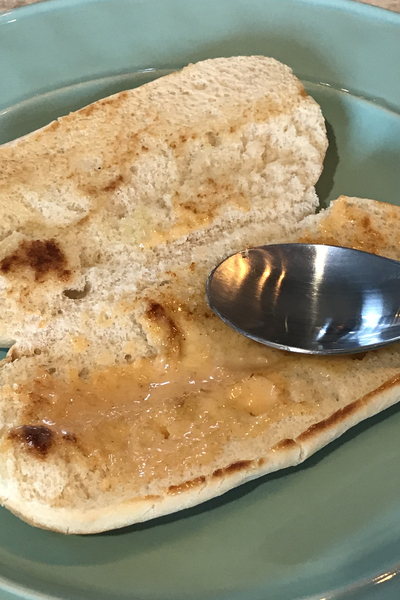 A few minutes later, I was sitting in front of a split and toasted French roll filled with shrimp, lettuce, tomato, pickles that were all drizzled in a beautiful spicy mayonnaise sauce. One bite and I was in heaven! The light breading of the shrimp gave just enough texture to compliment the rest of the sandwich. Add in the crispy vegetables and the sour and salty flavor of the pickles and you have an amazing combination. 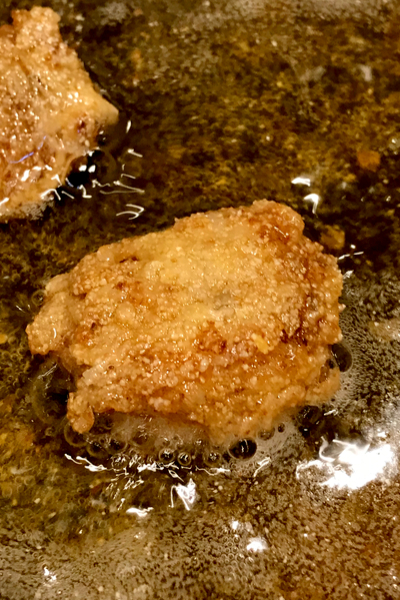 Breaded shrimp being fried in oil. But what really set this Shrimp Po’ Boy above all the others – the remoulade sauce. A spicy mayonnaise blend that coated each side of the bun and drizzled on top of the breaded shrimp made this sandwich a fan favorite. And if you prefer things a little spicier, Crystal’s hot sauce sits on the table for anyone to use. Legend has it that the term Poor Boy sandwiches stemmed from streetcar workers that were on strike. 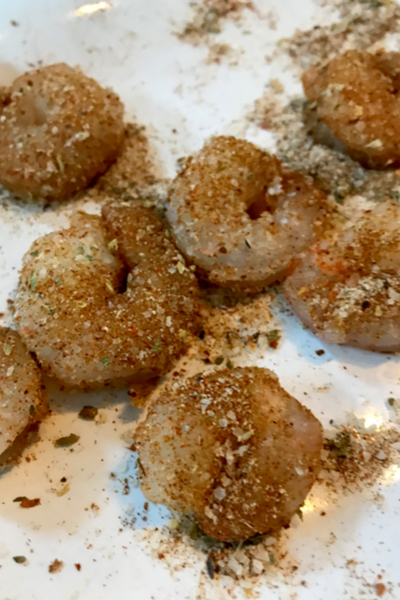 For a healthier version, use an air fryer cook the shrimp. They would line up outside a local restaurant and the owners would feed them Shrimp Po’ Boy sandwiches for free in support of their cause. Although this story is not 100% confirmed, it definitely originated in the New Orleans area and still remains popular today. In fact, there are all sorts of po’ boy sandwiches available. Roast beef, oysters, crab, and even brisket po’ boys have spanned the southern states. Spread the remoulade sauce on each side of the toasted baguette before layering the sandwich. And if you happen to be visiting New Orleans in November, you might be lucky enough to attend the Oak Street Po’ Boy festival! 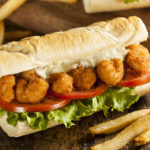 Not only can you try the Shrimp Po’ Boys, but they come up with new and interesting creations each year. 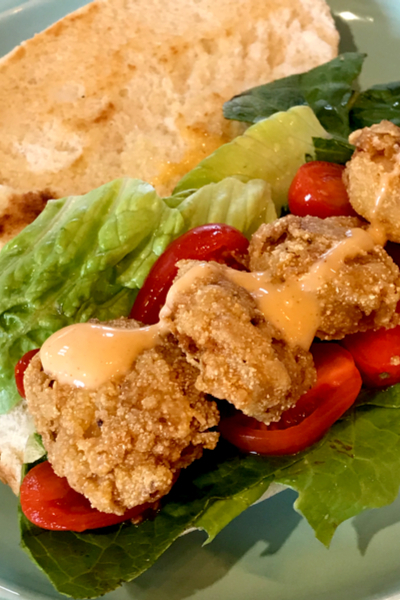 Classic New Orleans sandwich made with a creamy Rémoulade sauce and topped with fried shrimp, lettuce, tomatoes and pickles and served on a toasted hoagie bun. Shredded iceberg lettuce sliced tomatoes, dill pickles, hot pepper sauce (optional), preferably Crystal hot sauce. Prepare the Remoulade sauce by mixing the ingredients together and refrigerating at least 30 minutes prior to serving. Whisk first 8 ingredients in a small bowl to blend, set aside. Meanwhile, place shrimp in a medium bowl and toss with the 2 tablespoons of the prepared spice mix to coat. Prepare dredging stations by adding buttermilk to a shallow bowl. Whisk flour and cornmeal together and place in another shallow bowl. Dip seasoned shrimp in buttermilk, then coat completely with flour mixture. In a large skillet, add enough oil to measure 2" and place on medium heat. You want the temperature to be around 350°F. Working in batches, fry shrimp, flipping once until golden brown and just cooked through (approximately 3-4 minutes). Using a slotted spoon or spatula, transfer to paper towels to drain. 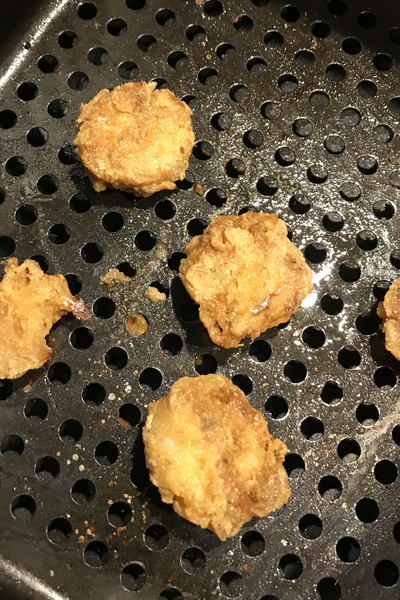 Preheat air fryer to 370 degrees. Spray basket with grapeseed oil and place shrimp in a single layer in the basket. Cook for 7 minutes, turn and cook for an additional 6-7 minutes. Open rolls and spread cut sides with rémoulade sauce. Top with lettuce, tomato, pickles, and shrimp. Serve with additional hot sauce, if desired. *Rémoulade sauce can be substituted with mayonnaise and hot sauce.